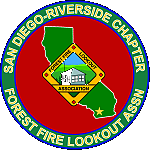 Estelle Mountain – Lookout was located just east of Interstate 15 between Corona and Lake Elsinore in Riverside County in what is now known as the Lake Mathews Estelle Mountain Preserve. The lookout was constructed in 1935 by the Civilian Conservation Corps. The cab was a BC-301, 14 x 14 foot design on an L-1600 series, steel K-brace tower 30 feet tall. No images of the tower on the original site have been located. 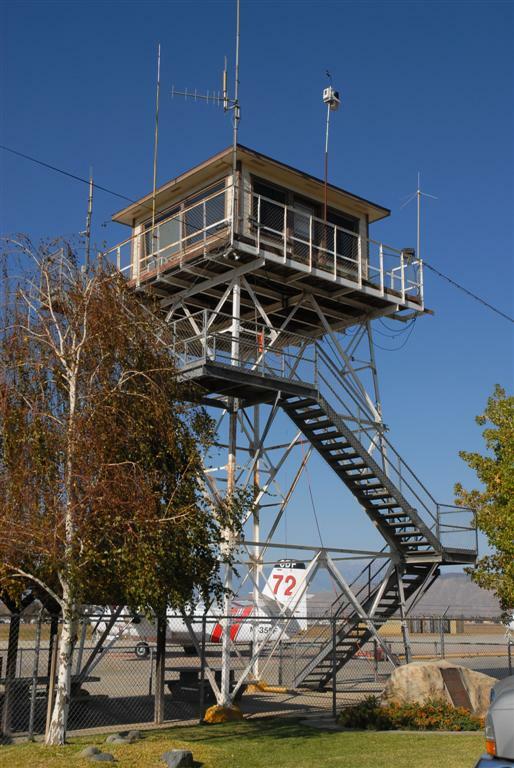 The lookout was disassembled and relocated to the Hemet-Ryan Air Attack Base before 1960. The Forest Service began operations at Hemet-Ryan in 1957. The lookout still serves as the Ground Control Tower at the airbase.